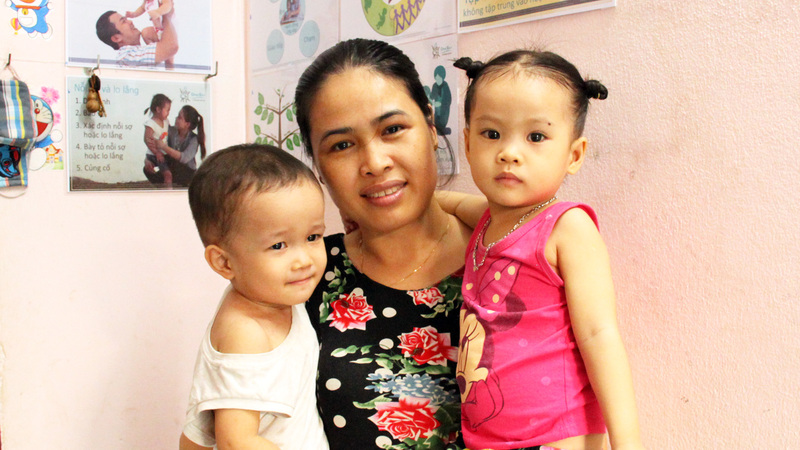 Their parents were farmers before they left Vietnam’s rural provinces for factory work in the city. 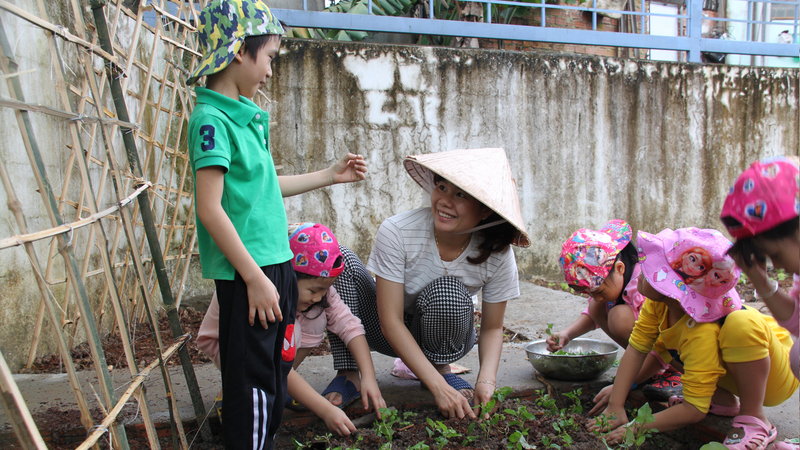 Now, these children are learning to tend their own crops at OneSky’s Early Learning Center (ELC) in Da Nang. 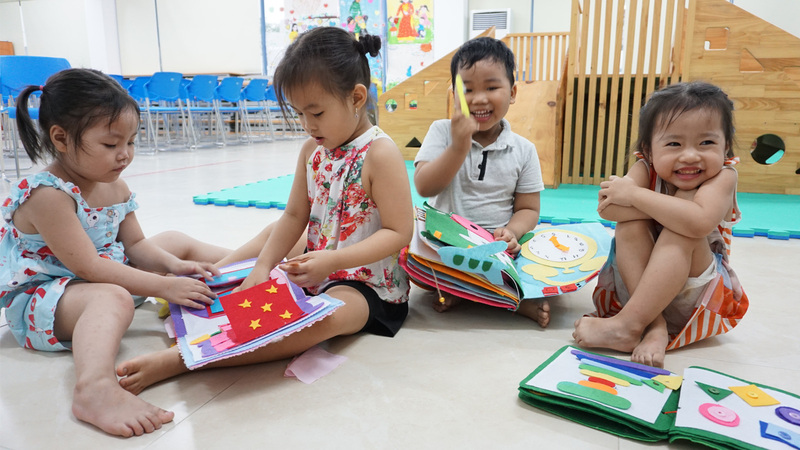 The ELC was set up specifically to assist the children of rural migrants working in local factories. 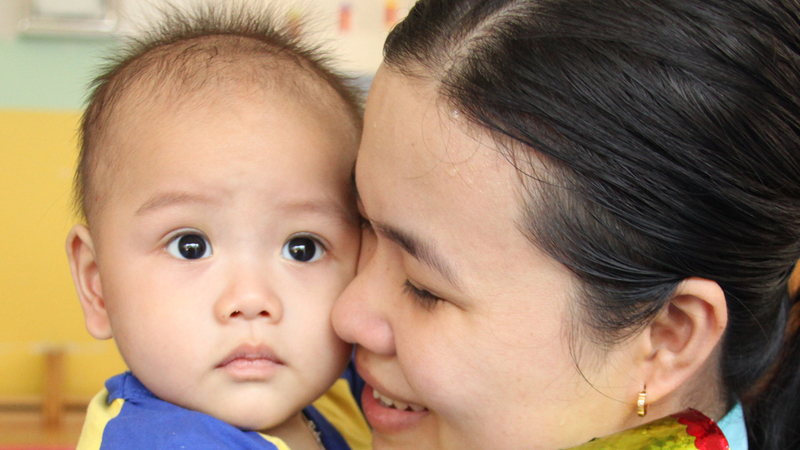 Beyond this, the ELC runs a wider program offering training to home-based daycare providers. 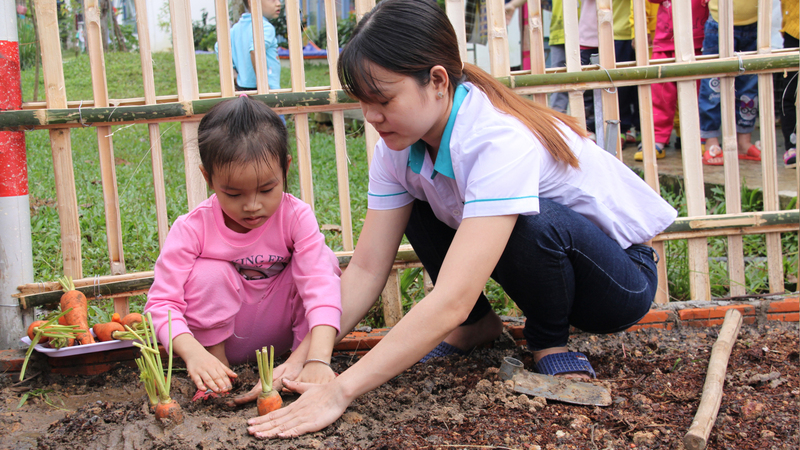 The garden is just one of the ways the children are being encouraged to learn. 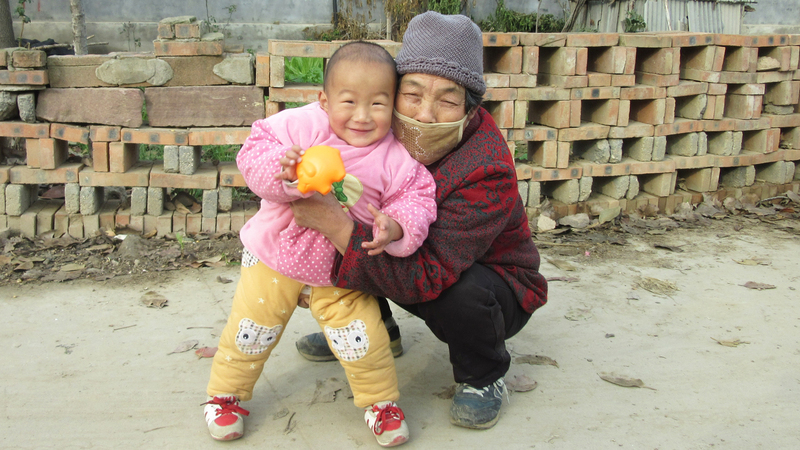 “These children live in small, rented homes with little space to enjoy the fresh air or run around. Our garden is not just enjoyed by them but also by visiting parents who can spend time here to unwind after work. 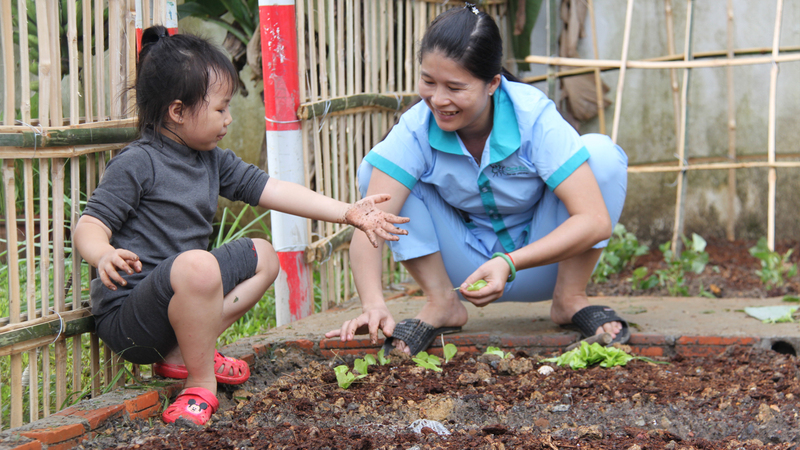 The garden helps take the children full circle with the chance to grow a little of the food they eat. While the ELC crop won’t feed everyone, the children enjoy growing herbs like mint and cilantro, both common in local food. Parents stop by before and after work to help plant vegetables, including carrots and cucumbers. 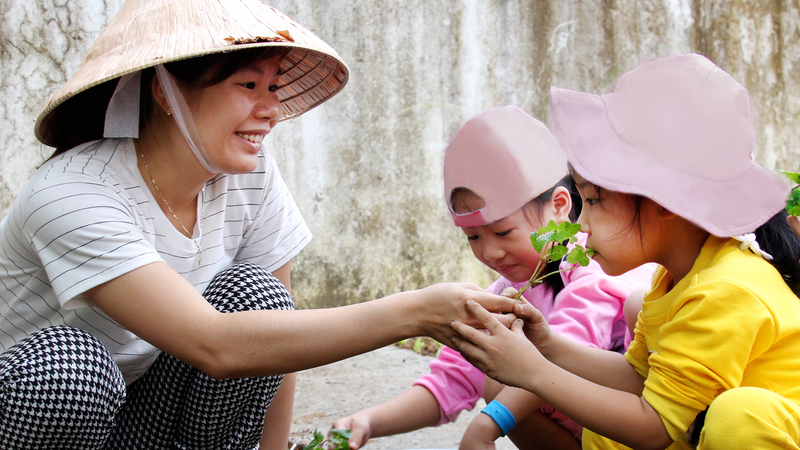 In Vietnam, food safety is a cause for concern especially for those on low incomes in the city. Many parents worry about the origins of the food they buy. The garden, which also has guava and star fruit trees, is at least a partial solution. Read more about OneSky’s Migrant Model.